A key to intervention for math is to drill down into a topic to see which step is causing a student problems. This is a big reason why ongoing progress monitoring is vital to intervention. 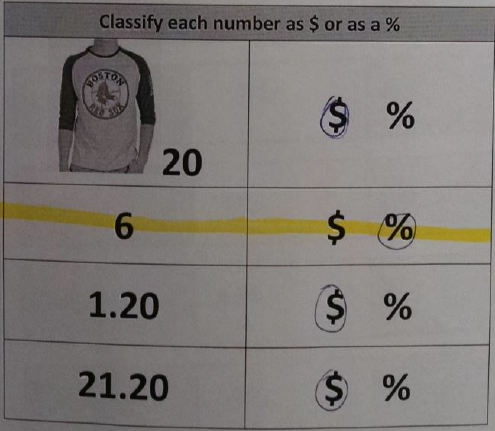 In this case a student in a previous session had occasionally added the percent to the dollar amounts – the step that was problematic. He conceptually wasn’t thinking about the meaning of the values but just added or subtracted numbers he saw. 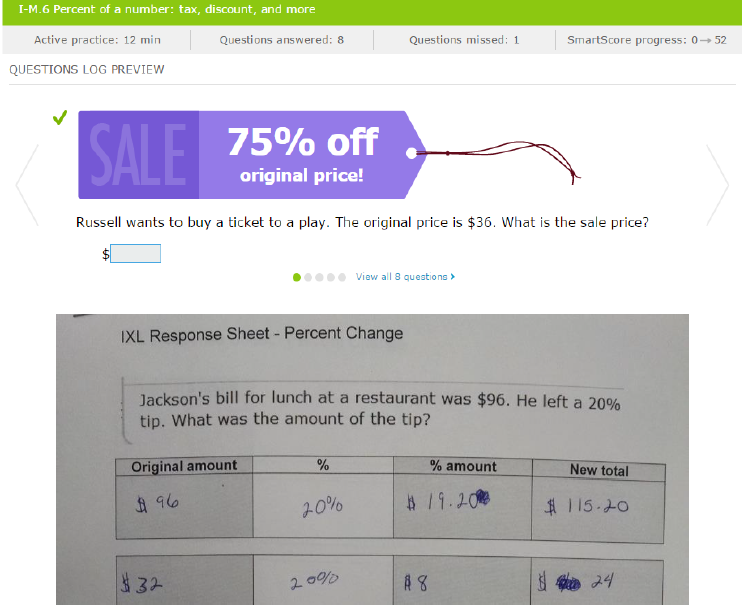 In response the next session focused on helping the student discern between the percent rate and the monetary values. In the photo above is the work of the student as review of the previous session. 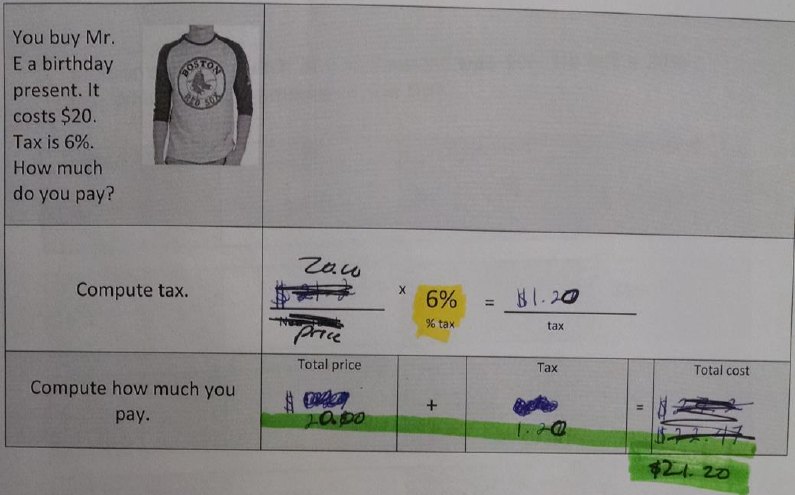 This was followed by highlighting the dollar amounts in green and the percent amount in yellow. It was emphasized that the yellow was not used in the calculation in the bottom row.